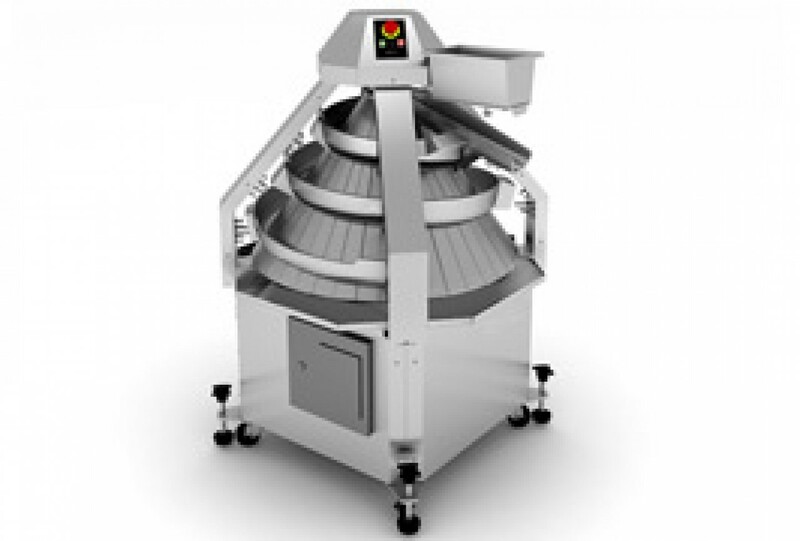 Replace with dough rounder manual skills at a stage of rounding of preparations from the test after division in the dough divider machines. Preparation from the test is pressed down and acquires rounded shape in the course of movement between the channel and the conical casing of the equipment. As material for channels and the casing of the machine aluminum is used, at the request of the customer the teflon covering can be applied on their surface. The silent device for powder of channels flour will prevent sticking of the test. Under the casing there is a brush intended for sweeping away of excesses of flour in the special tank. The external casing of the machine can be manufactured of the colored or stainless steel.